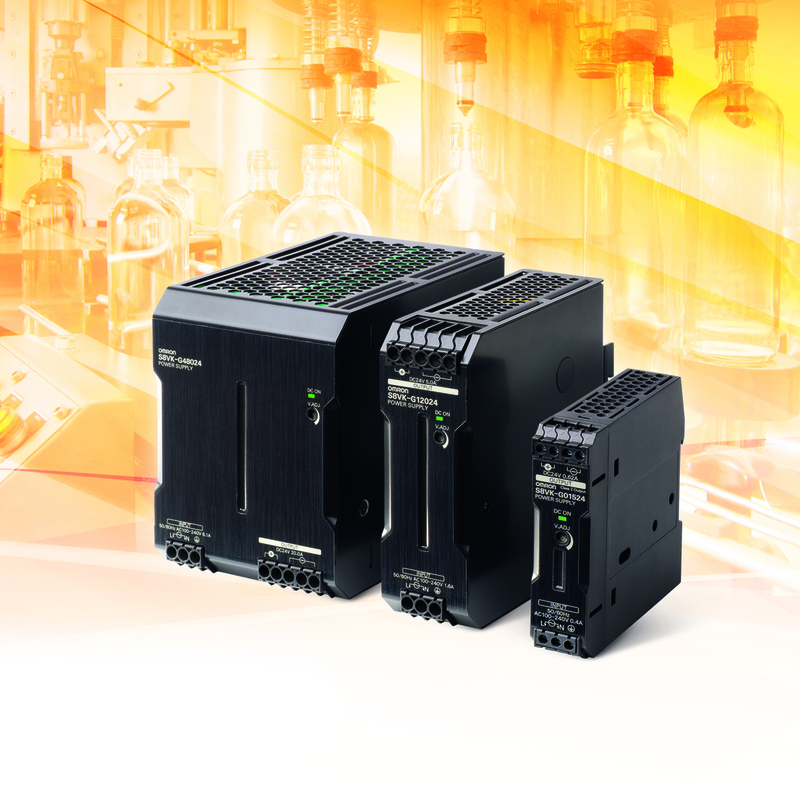 Providing stable operation even in the toughest environments, compact industrial power supplies in the new S8VK range from Omron have an exceptionally wide operating temperature range – from -40 to +70ºC for the S8VK-G family. 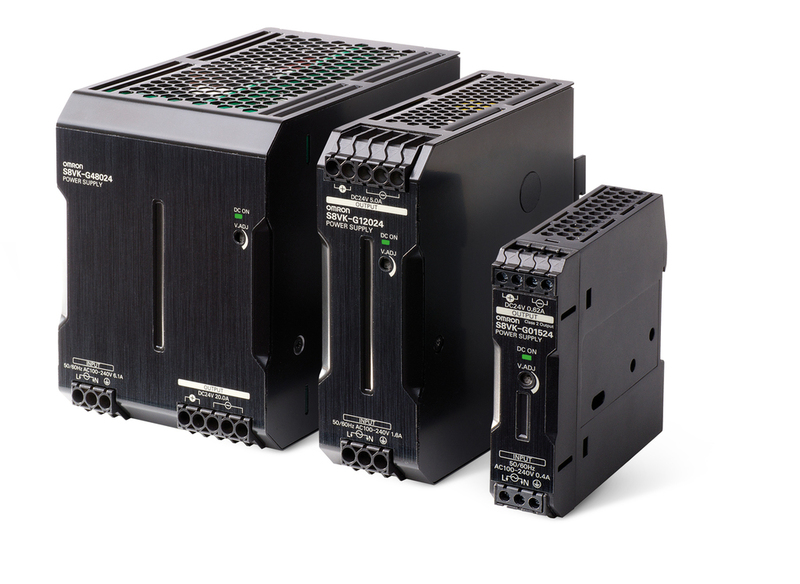 The new power supplies also offer fast, easy installation with an enhanced click-on DIN-rail mounting clip, and they feature multiple output terminals – two positive and three negative – to simplify and speed-up wiring. S8VK power supplies are typically 13% smaller than similarly rated units, making them the most compact of their type currently available, which means that panel space savings can easily be made. The small size of the units has, however, been achieved without compromising performance or reliability – in addition to their wide operating temperature range, all models offer high vibration and shock resistance, complemented by superior MTBF ratings. The Lite family is intended for cost-sensitive applications that require a dependable high-quality power supply. Power supplies in this family have an operating temperature range of -20º to +60ºC and a universal 100 to 240V 50/60Hz input capability. For users requiring greater versatility, the standard S8VK-G Pro family is designed to "fit and forget”. Units can be operated in parallel, and also offer longer lifetime, higher protection, a wider operating temperature range of -40 to +70˚C and a 120% power-boost capability to cope with short-term current peaks. The S8VK-G Pro family is suitable for operation with 100 to 240V single-phase 50/60Hz or 90 to 350V DC inputs and can be supplied with power ratings from 15W to 480W, while S8VK-R Pro Plus redundancy units have been designed to meet the most critical requirements, and allow fully redundant operation.